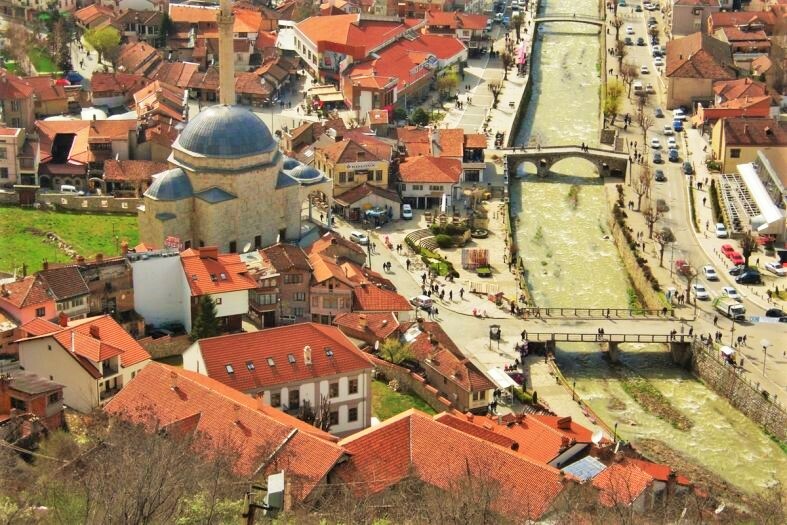 Prizren is not like any other city in Kosovo. 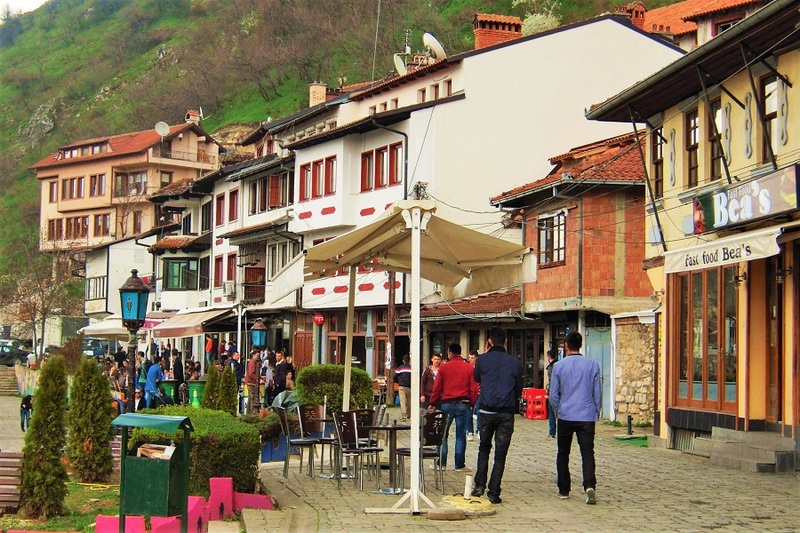 Down its narrow streets, amidst the houses perched on the hill and at the paved squares, you will feel the characteristic spirit of the Balkan cities, which you can also find in the old towns of Bulgaria‘s Nessebar, Macedonia‘s Skopje or Turkey’s Istanbul. Over the Bistrica River there are several small bridges bearing the ceaseless buzz of tourists of all nationalities. In the Old Town of Prizren, you can sit at one of the outdoor cafes, a Turkish tea house or any of the grillrooms offering the local type of grilled delicacy oblong rissoles (only veal meat offered). 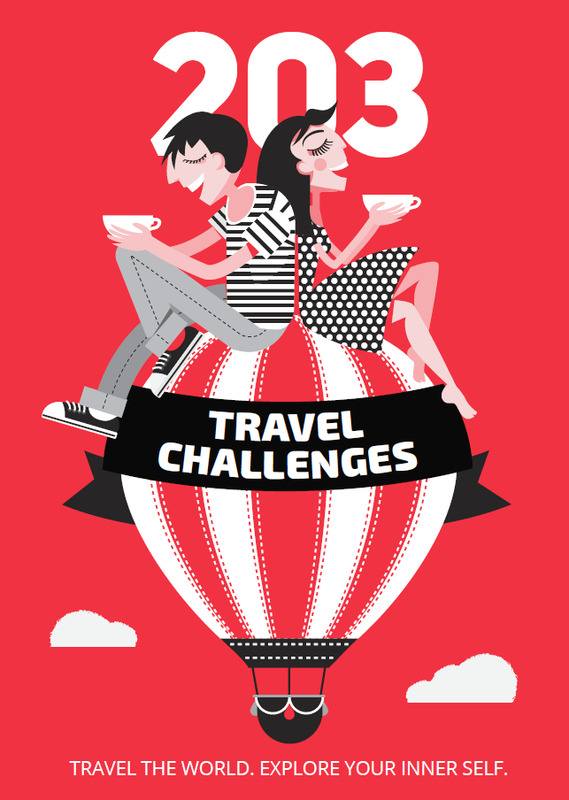 The meals are delicious, the waiters speak English, the coffee is perfect, and the prices are more than affordable. 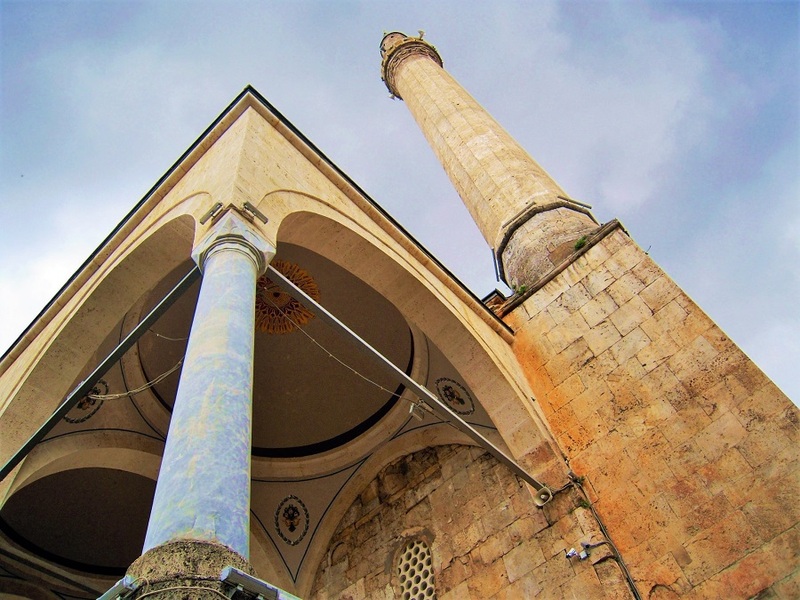 Here you will find yourself surrounded by the minarets of century-old mosques, bell towers of Orthodox and Catholic churches – all existing peacefully together. All of them are situated within 2-3 minutes walk from each other and you will get easily orientated which way to take following the information signs. When we saw a huge Catholic church that was locked, we asked a keeper, whom we saw in the yard, to open it so as to take a look inside. He agreed with a kind smile and even left us alone to take our time inside, only asking to close the door when we finish. You should not miss doing some climbing exercise, too. 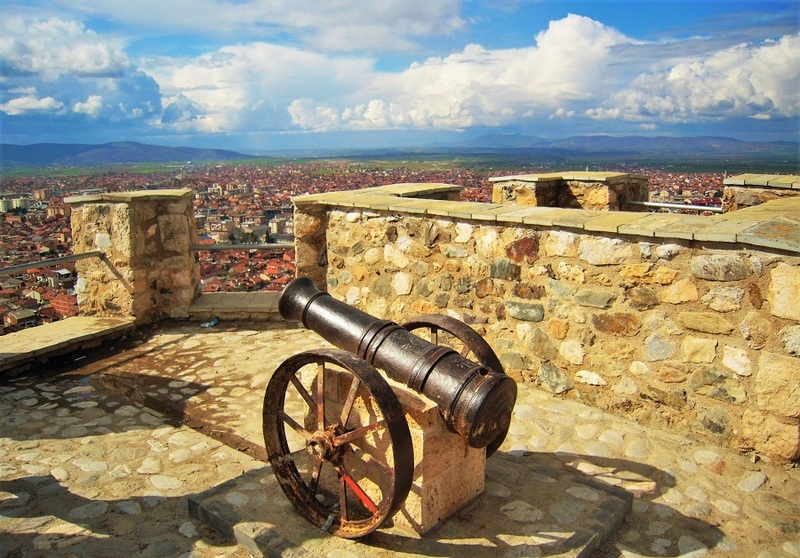 A V-century stronghold is towering over Prizren as a real guardian. On your way to the stronghold, you will pass through the old Serbian neighborhood. 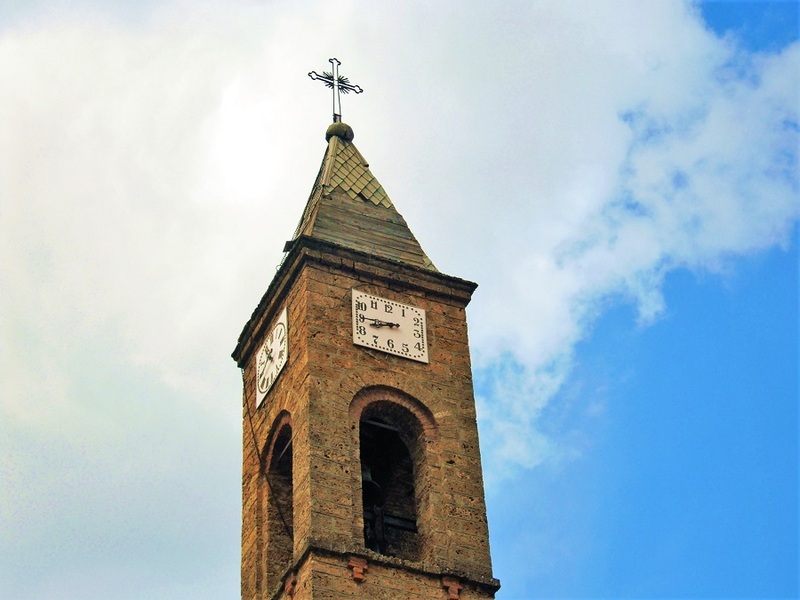 There are definitely many ghosts from the past hovering about here – the youngest one should be those from the events that followed Kosovo’s declaration of independence, when many Serbs were forced to leave the city and their homes. The half-destroyed and plundered houses are seen along the slope leading to the stronghold. When you reach the top of the hill, you won’t be able to take your eyes off the panoramic view before you – Prizren plainly visible and the sides of Sar Mountain into the distance. The stronghold itself, with all its vaults, shelters, secret exits and lonely standing stones, inspires you to jump around and slip in here and there. If you are fond of photography, here you ll have plenty of opportunities to take a lot of snaps of Prizren from a bird’s eye view.